Saaho team is being extremely careful about their film and actor Prabhas. Since after Baahubali, Saaho is the much anticipated and awaited project starring Prabhas, the team is taking all sort of steps to keep the locations as well as Prabhas look under wraps. In fact, a diktat has been issued against use of mobile on the sets. After wrapping up the shoot of Saaho in Hyderabad, Prabhas is heading to Abu Dhabi to shoot for the action sequences. But before the shoot goes on floor, the team is making sure to protect the details of shoot locations and as well as Prabhas’ look. So far, the team has been successful to keep Prabhas look under wraps. In fact, the first teaser look the makers released on the rebel star’s birthday did not reveal exactly how the actor would look in the film. “Diktat has been issued against the use of cell phones on sets. We have not yet received specifications of the locations of our Abu Dhabi schedule. Makers are leaving no stone unturned to ensure that no content from the sets is leaked and for the same have kept shoot locations a secret. 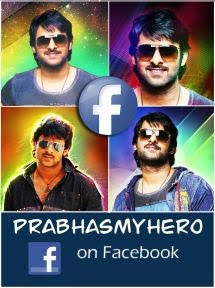 There will also be multiple vanity vans to protect the look of Prabhas,” added the source. Saaho will see Prabhas in an action-packed avatar, while Shraddha Kapoor will be seen playing his love interest. The film will also feature Neil Nitin Mukesh in a pivotal role. A UV Creations production Saaho is produced by Vamsi and Pramod and directed by Sujeeth. The music for the film is being composed by the superhit trio Shankar-Ehsaan-Loy and the lyrics is written by the very talented Amitabh Bhattacharya. So, not just the film, we can have high hopes from the music too.